Azure oval brass miniature urn with floral motif. Engraved silver petals and Swarovski crystals. 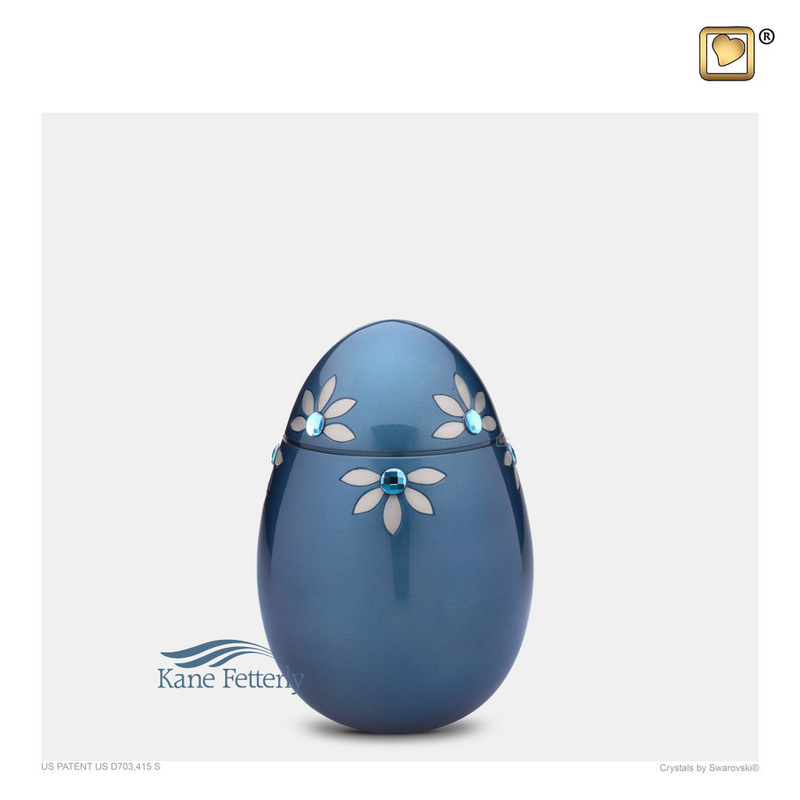 Also available as a full-size urn, heart miniature urn, tealight miniature urn, and cremation pendant.